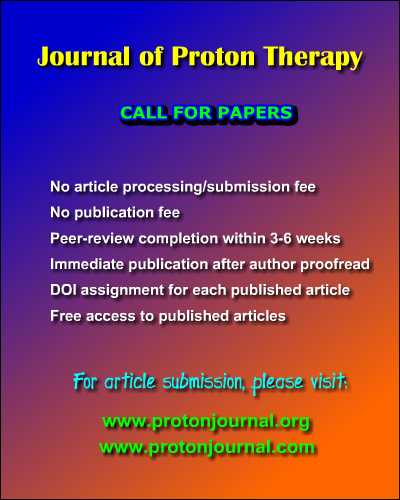 Journal of Proton Therapy (JPT) is an international open access, peer-reviewed journal, which publishes original research, technical reports, reviews, case reports, editorials, and other materials on proton therapy with focus on radiation oncology, medical physics, medical dosimetry, and radiation therapy. The views and opinions expressed in articles are those of the author/s and do not necessarily reflect the policies of the Journal of Proton Therapy. 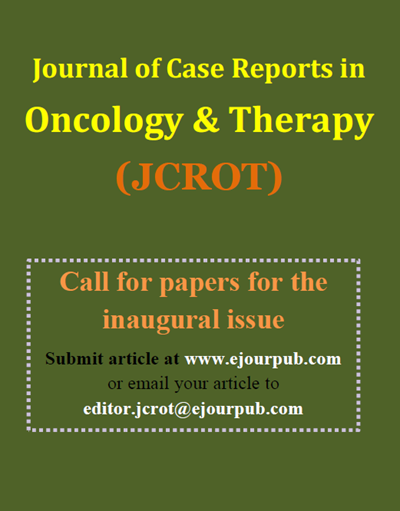 Journal of Case Reports in Oncology and Therapy (JCROT) is an open access, peer-reviewed e-journal that will consider original case reports in the field of oncology and therapy. The case report must be a concise description of a disease, treatment procedure, clinical implementation, treatment outcome, new technique, or any other topic related to oncology and therapy. The views and opinions expressed in articles are those of the author/s and do not necessarily reflect the policies of the JCROT. 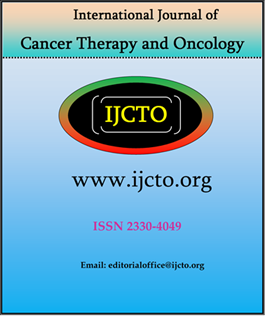 International Journal of Cancer Therapy and Oncology (IJCTO) is an international open access, interdisciplinary peer-reviewed journal. The journal publishes original research, reviews, editorials, case analysis, and other material on a broad range of topics focused on clinical cancer research, providing a platform for clinicians and academicians to collaborate and share knowledge. Authors are encouraged to submit complete unpublished and original works, including but not limited to the following fields: radiation oncology, medical physics, radiation therapy, medical dosimetry, medical oncology, cancer biology, nuclear medicine, cancer science and therapeutics, cancer detection and prevention, cancer nanotechnology, and clinical oncology. International Journal of Stem Cell Therapy (IJSCT) is an open access, peer-reviewed e-journal that will consider original research, reviews, technical notes, short communications, scientific notes, editorials, and case reports on a broad range of topics focused on stem cell therapy. IJSCT does not charge any kind of fees to the authors. All accepted articles will be published online as soon as the proofread of the article is completed by the corresponding author.